Little Caroline is so creative. 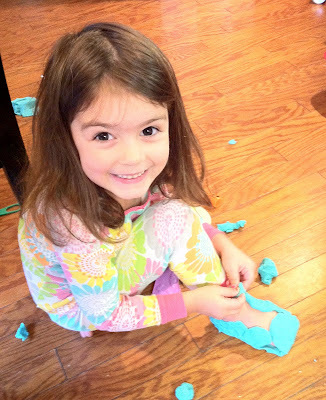 She also made me a playdough necklace, bracelet and ring. 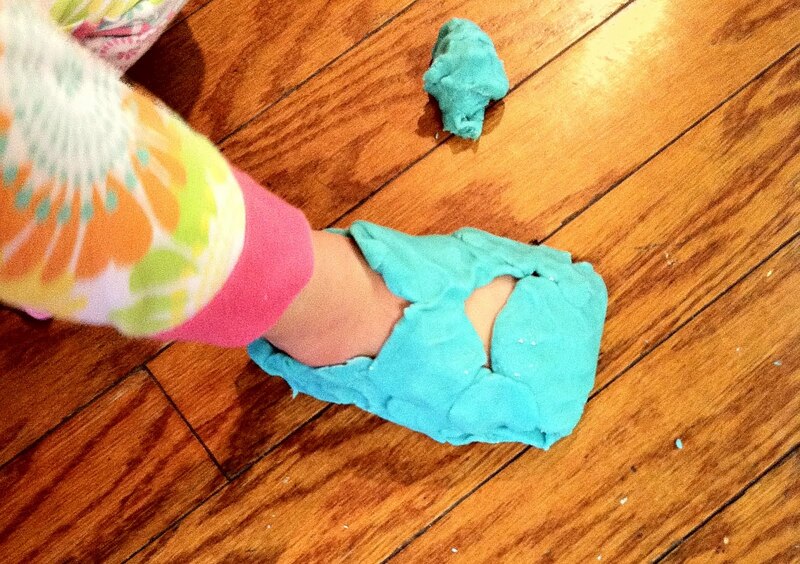 And I'm calling it 'playdough' because it's not the commercial brand Play-Doh. Elizabeth and the kids made it themselves... and they put glitter in it, so it sparkles. 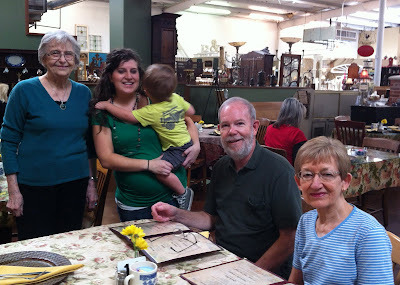 They really enjoyed the food in the tea room... as I do, all the time. 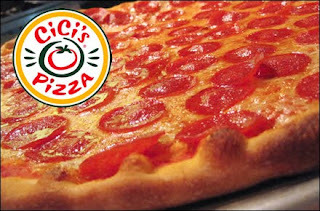 Last night I went and got some Cici's pizza to go and took it to Mother's for us for supper... Talk about good... and talk about cheap. I've been to Cici's many times - for the buffet (mm), but I had never ordered whole pizzas to go. Oh my. They were huge...and so reasonable: two large one topping pizzas and salad cost $15.66. Oh, did I say they were GOOD? YUM. Caroline IS creative! I need to go to the tea room soon . ..